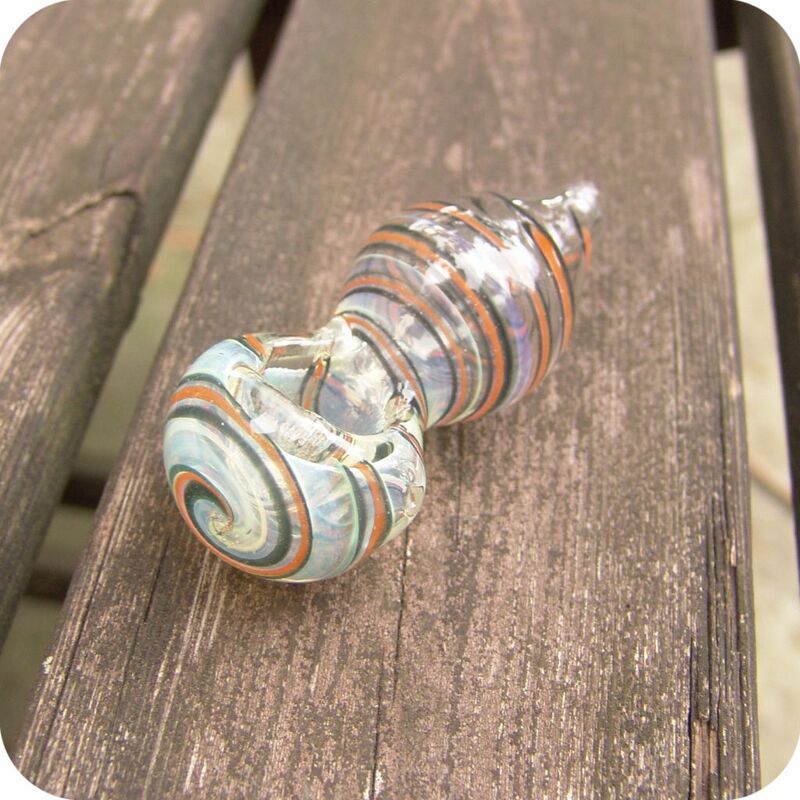 The shape of this hand blown, silver fumed, color changing baby blowfish glass pipe makes smoking out of it very pleasurable. 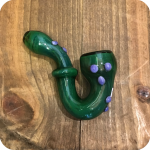 The bubbled out shape of the chamber allows more smoke to travel through for each hit, and also allows it to cool a bit so it doesn’t feel as harsh. 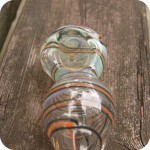 Although it starts off with a yellowish tint, this pipe will change to an opaque blue. 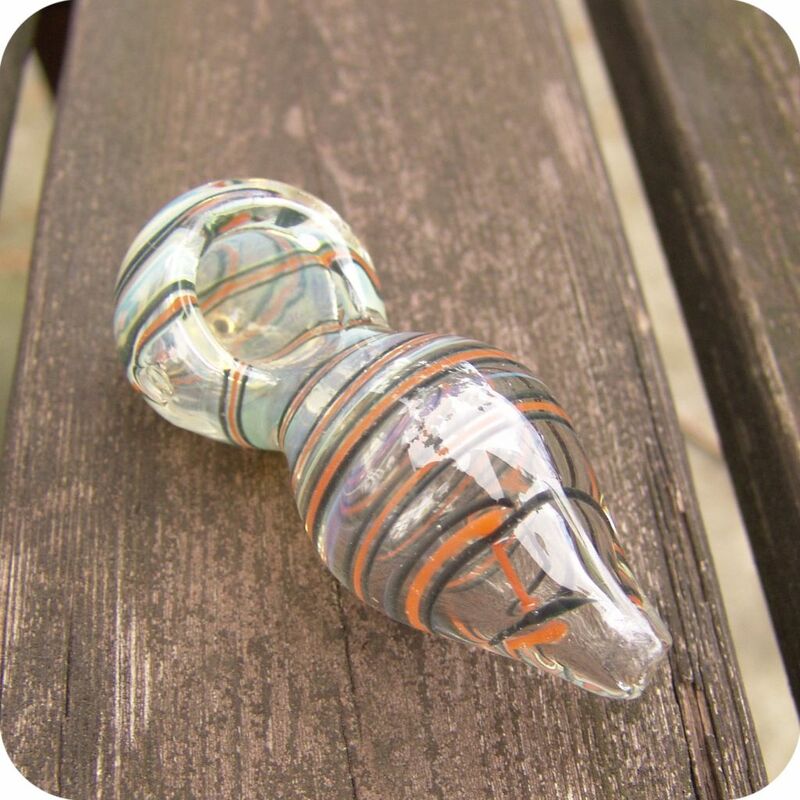 Other notable features of the Baby Blowfish glass pipe include a tapered mouthpiece that fits neatly between the smoker’s lips, a deep bowl, and a carburetor on the left side of the bowl. 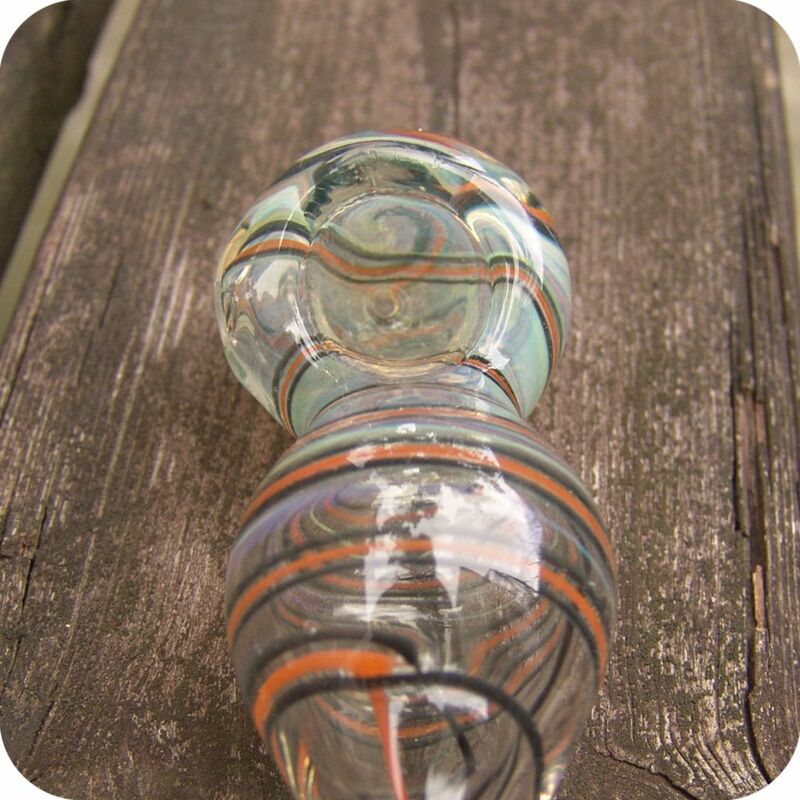 Spiraling stripes in different colors like orange, greens, and blues adorn the entire body of this sweet compact glass pipe, which is easy to take with you anywhere since it’s only 3 inches long. Consider a matching mini Bic lighter for the ultimate tiny travel kit! 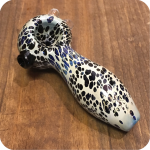 Tags: baby blowfish glass pipe, blowfish pipe, Brooklyn, brooklyn glass, brooklyn smoke shop, glass, glass pipes, peanut pipes, sunflower, Sunflower Glass Co, Sunflower Glass Company, sunflower pipes.